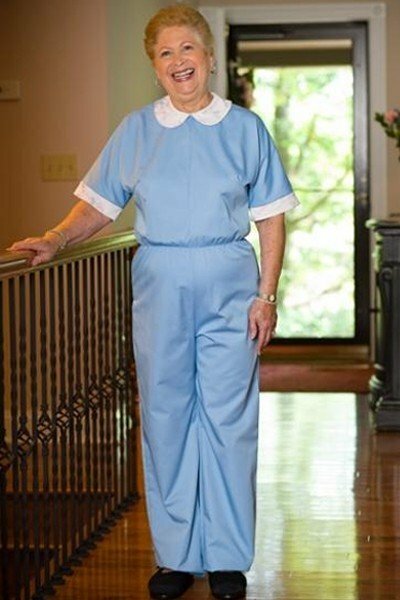 Designed for the advanced dementia or Alzheimer’s patient, this one piece jumpsuit keeps the chronic undresser clothed. Features sturdy reinforced zipper back closure with security snap tab at neck to ensure modesty. Short sleeves. Roomy fit. Very strong cotton/polyester blend material to accommodate even your most energetic patients. Assorted solid colors.